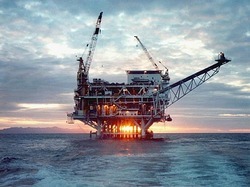 On Tuesday, the Obama administration released a proposal to sell offshore oil and gas leases in new areas of federally owned waters, including regions along the Atlantic Coast from Virginia to Georgia. The announcement is part of the Department of Interior’s latest five-year plan, which includes federal leases from 2017 to 2022. The proposal is a draft that could be significantly altered or narrowed after upcoming months of public hearings and input, however it does not require congressional approval. The entire draft includes 14 potential lease sales in eight different areas, mostly in the Gulf of Mexico, but also three off the coast of Alaska and the portion along Virginia, North and South Carolina and Georgia.